Sharing a beer or two with friends after work or play is one of life's many joys. Session beers, whose mild strength invites more than one round, adhere to high quality standards and are dedicated to balance and drinkability above all. Some naturally low-alcohol beer styles were 'sessionable' long before that word was coined, but brewers have reinvented traditionally stronger classic beer styles to make them, too, well-suited to casual drinking sessions. Responsible consumption of these high-quality, easy-drinking beers gives beer lovers the freedom to celebrate community and friendship while consuming less alcohol. Such beers can be challenging to brew, but they present many opportunities to showcase skill, flavour, and refreshment. Session Beers explores the history behind some of the world's greatest session beers, past and present. Learn about the brewing processes and ingredients to master recipe development. Explore popular craft session beer recipes from some of the best brewmasters in America, and discover why beer drinkers enjoy exploring and drinking session beers. Jennifer Talley's brewing career began in the state of Utah as brewmaster at Squatters Pub Brewery in Salt Lake City. She honed her skills through a variety of positions at Salt Lake Brewing Company, Redhook Brewery, Russian River Brewing Company, and Auburn Alehouse in Auburn, California. 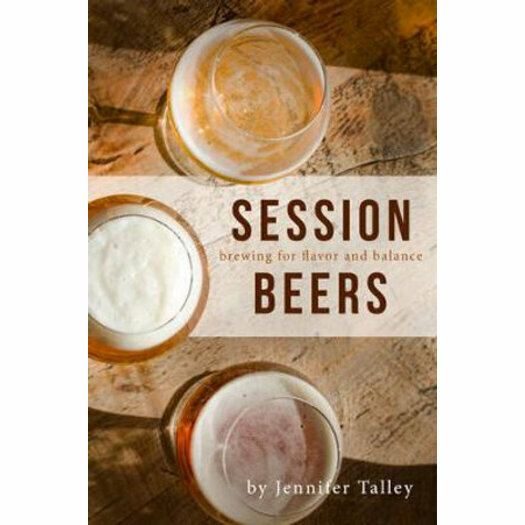 With more than 20 awards from the Great American Beer Festival and World Beer CupSM, Talley is also a Cicerone Examiner, craft beer industry speaker, technical committee member for the Master Brewers Association of the Americas, and a national and international beer judge. Talley was awarded the Russell Schehrer Award for Innovation in Craft Brewing in 2011. Jennifer resides with her children in Grass Valley, California.